Sixty years ago, Hunter Douglas pioneered suspended metal ceilings. We’ve been hard at work ever since, ensuring that architects have the right ceiling solutions available to meet the requirements of their individual projects. 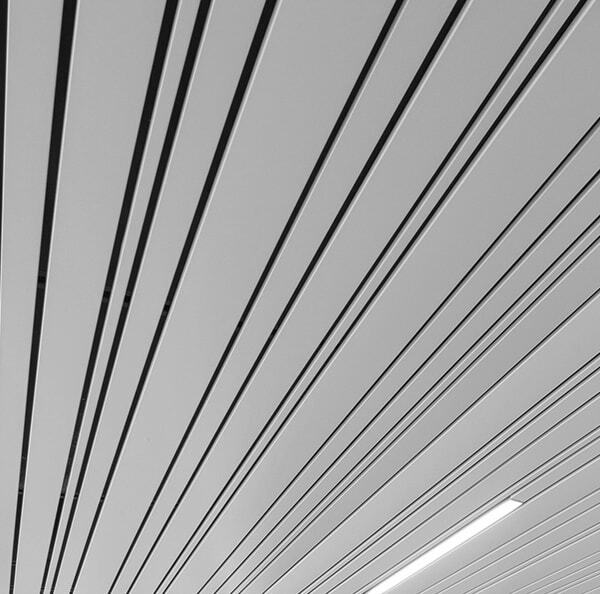 A range of metal ceilings in aluminium, steel and stretch metal are available in linear, wide panel, open cell, curved and tile configurations. 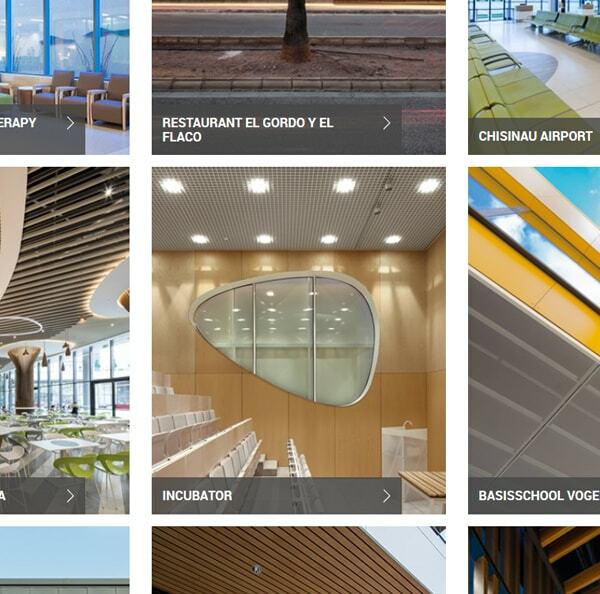 This huge range of ceiling options is only limited by your imagination. 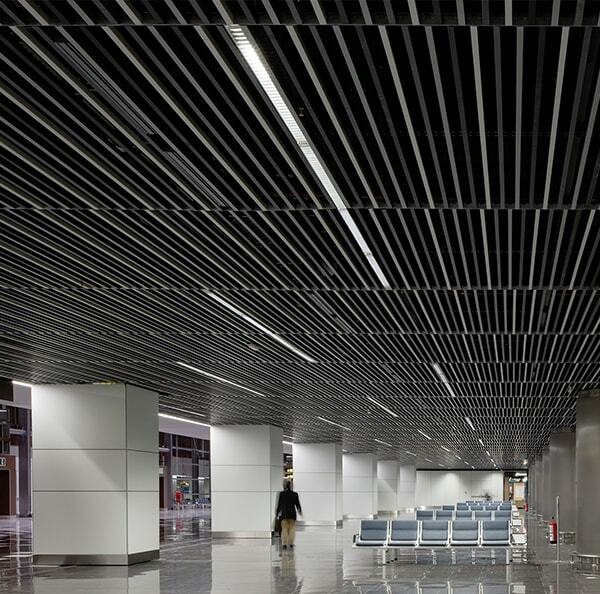 Metal ceilings offer excellent performance levels all round. Our design and manufacturing expertise provides architects and designers with the flexibility to create almost any finish to the ceiling void. We understand the properties of the metals we use, and how best to work them to achieve your visual goals. 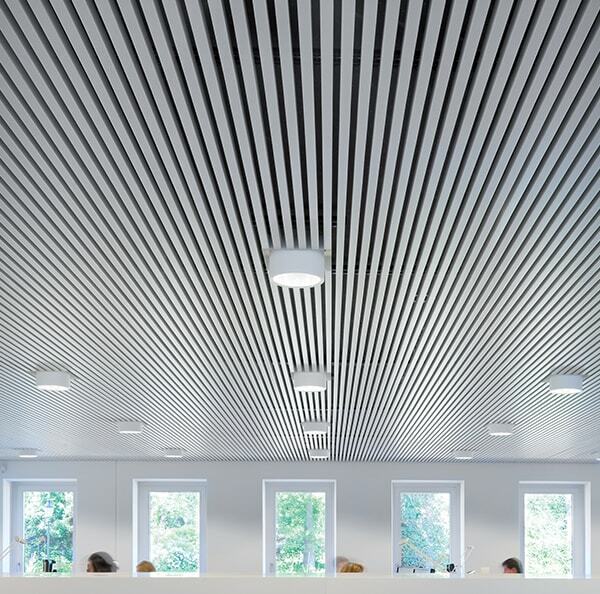 Our high performance interior metal ceilings are available in a wide range of variations. These include linear, tiled, open and closed cell systems all of which can be specified in a range of shapes and curves depending on the carrier system used. Be sure to browse the full range to fully appreciate the choice of ceiling systems we have to offer. The Hunter Douglas range of interior metal ceilings include a variety of different performance levels. Perforated panels offer enhanced acoustics which can be substantially improved with the addition of special acoustic pads. Acoustic performance is especially important in large areas so please consult a member of our team about the acoustic environment you require. Our Metal ceilings are available in a range of standard colours and can be coated in any RAL color. In addition to these uni colours, there are several special metallic colours and chrome finish possible. The complete program of panels, grids, bandraster profiles and edge profiles can be finished in one color for a uniform looking ceiling. Our focus on quality (ISO9001 certified) ensures the highest standard of production processes, material, machinery and finished product. The superior durability of Hunter Douglas products translates into lower costs during the life cycle of the product. In official fire tests at Efectis, Bleiswijk and CSI, Bollate, Milan (both independent fire research institutes), all of our metal ceiling systems earnt a high reaction to fire classification according to EN 13501-1. Use the filters below to browse our full selection of Interior Metal Products.